She for S.H.E and Lillet invite you to meet with dynamic women and taste the delicious Lillet White Spritz and Lillet Rosé Spritz. We'll also have the opportunity to discover Lolo-Chatenay beautiful reversible and interchangeable handbags collection. Let's celebrate Spring with like-minded women, handbags and good cocktails! 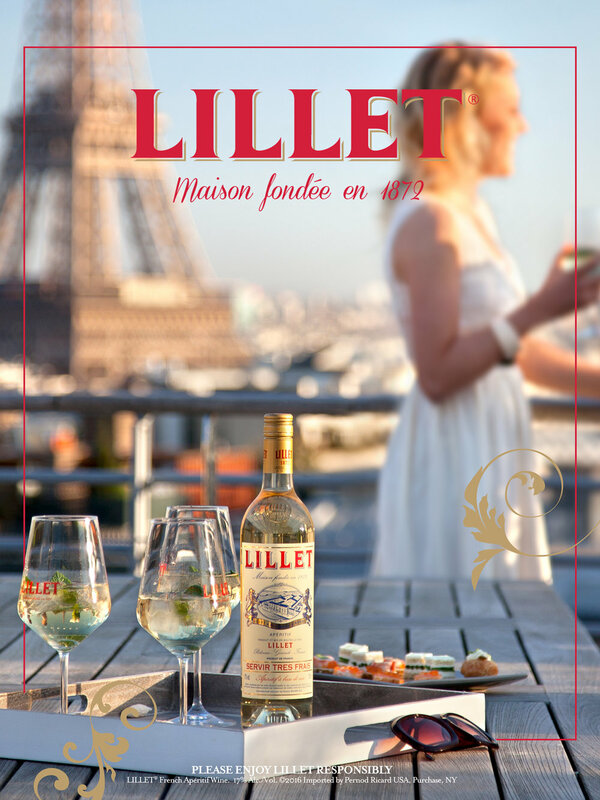 Lillet is a fresh, slightly sweet wine-based aperitif from France, where it enjoys a long tradition. In 1872, Bordeaux’s first aperitif was established by brothers Raymond and Paul Lillet under the name Kina Lillet. Years later, this would change to just Lillet. But Lillet has always remained true to its roots. The employees at the small distillery of the traditional drink, based in Podensac, are extremely careful to keep the original recipe strictly secret. Still today, Lillet is therefore prepared with exclusively natural ingredients and with a great love of detail. In France, they know exactly how to build bridges between tradition and innovation. The unique, fruity aroma of Lillet Blanc comes from a blend of selected wines (85%) and fruit liqueur (15%). The wine is made from the Sémillon grape which, along with traditionally made citrus liqueur from Podensac near Bordeaux, matures for a few months in oaken vats. Lillet is made using entirely natural methods. It is purely thanks to the fruit liqueur and the maturing process that the flavour of Lillet has hints of honey, candied oranges and tropical fruit. This makes Lillet a refreshing aperitif with a soft, fruity taste. To create a business and share this wonderful venture with people who are keen to see it grow whilst respecting and showcasing each and every person's work. Rather than considering a bag as a single piece, Lolo Chatenay views it as several separate parts. The aim is therefore to change the look of the bag depending on fashion trends as well as the user's mood and style. The initial manufacturers loved the idea. They believed the concept had true potential and appreciated the boundless energy of the Lolo Chatenay team. This resulted in the birth of MAGIC METAMORPHOSIS.